Is the user interface intuitive? How long to get used to it? What features come with the out-of-the-box distribution? What is badly missing? How "fast" does the site respond with no content? 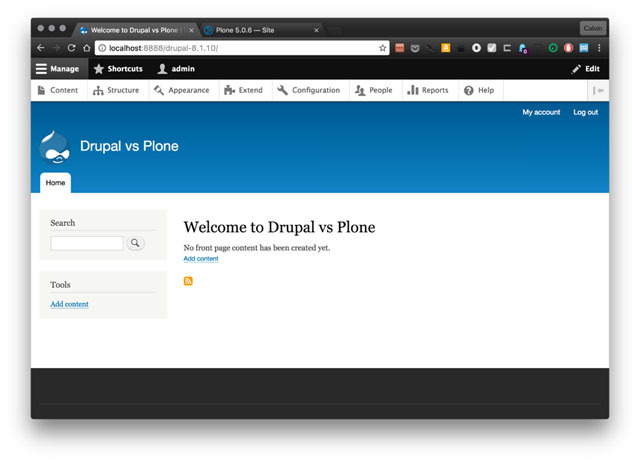 By loud and deafening demand, the Drupal community has made much improvement to the UI with Drupal 8. Drupal can never be as simplified as WordPress but it was agreed there was no need to feel like a Spaceshuttle Cockpit either. 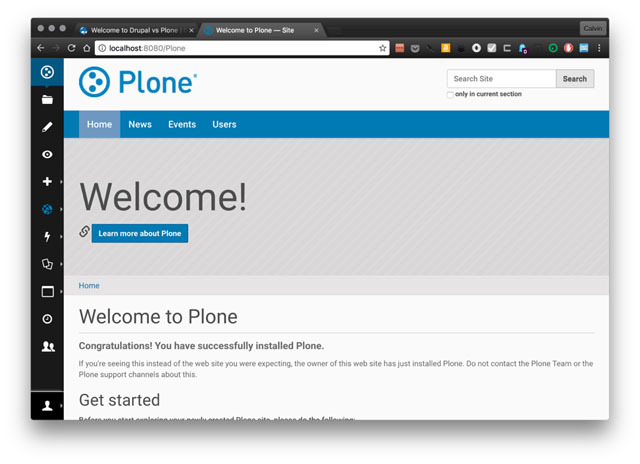 Drupal 8’s UI is therefore considerably more “friendly” than previous versions. 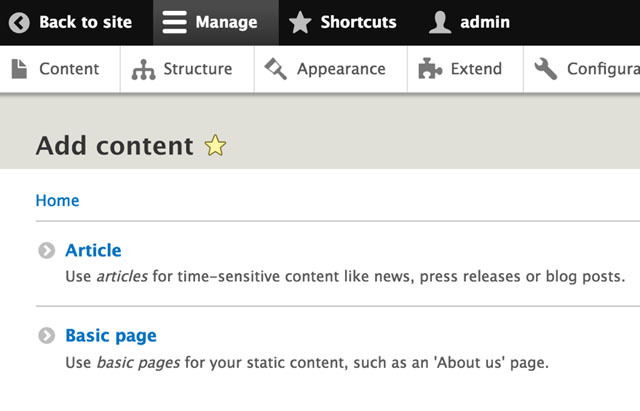 Some Drupal-specific tech jargon has been removed from the UI in preference to more semantic wording (the Drupal community practically spoke Kilngon in previous versions!). Icons in the admin menu were a big win in testing! WHO KNEW!?!?! The editing tools have been moved to a left column toolbar to stay out of the way of the content editing experience. The WYSIWYG editor is now TinyMCE 4, which offers an enhanced menu and comes with many bug fixes: among others, copying and pasting is now much better supported. 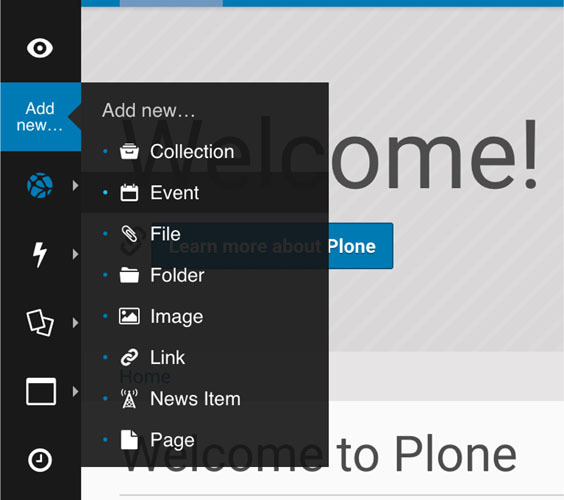 Plone 5’s new folder contents view now supports drag and drop for multiple files. Drupal uses Entities, a subset of which are called Content Types.